Influencing others’ way of thinking and getting something done by someone in a different department are some of the most cited challenges executives like you face. People want change, they just don’t want to BE changed. So, what to do? How can you become an influencer, a leader others want to follow? What will help you shift from simply being heard to being the one that influences others? Influencing Others – The Effective Way? The ability to influence others is the capacity to have an effect on their character, development or behavior. 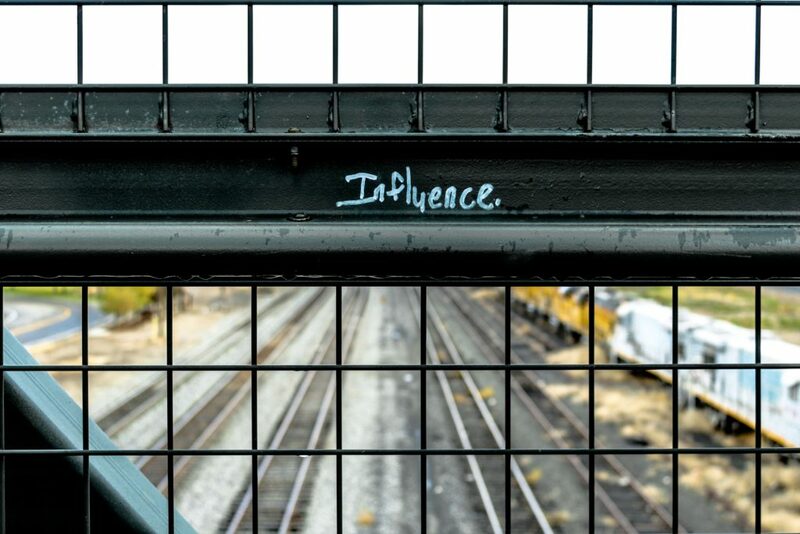 Put simply, having influence is making an impact. Influence is power. But why is it important to be able to influence others? Simply to assert your power? Influencing others is important to allow the best, most creative solutions to bubble to the top. We have big problems to solve. We can’t afford to not have your voice heard. So, flex your muscle, practice how to become a well-respected influencer, a person others are compelled to follow. Become irresistibly attractive as a leader. Only when a co-worker trusts you will he or she be open to your influence. If you are in a higher position in the company, you can assign a task even across department lines. But true influence suggests a voluntary component. If you assigned the same task without the higher authority, would the co-worker still listen to you and execute? To earn others’ trust, build positive relationships based on honesty and integrity, use good judgment when making decisions, and walk the talk. Slow and steady wins the race. Execute effectively and on time, day after day, and eventually people will come to rely on you. Consistency demonstrates dedication and dependability. Unpredictability might get you attention, but it won’t get you influence where it matters. If people can’t rely on your word and actions they will look elsewhere. Be assertive to get your ideas noticed, especially when you are competing with others for visibility, such as in a meeting. Confidence and conviction are the basic elements of assertiveness. However, too much confidence is perceived as arrogant, so tread lightly, especially when you don’t know the audience well. Cultivating a reputation of authority will earn you the ability to influence your peers and employees. If you want others to be open to your ideas, demonstrate that you can be flexible also. Be open to letting go of beliefs that hold you back and reflect on your own convictions actively. Avoid being stubborn and pivot if the situation calls for it. Go out of your way to have personal exchanges with your employees and co-workers. Get to know each other. You don’t need to build friendships, but if people see you as another person on the team and they know more about you, they are more receptive to your ideas. Be approachable, imperfect, human. Influencing simply through words is not effective. Facts, data and actions speak louder than words. Be persuasive based on those facts and actions rather than simply stating an argument. Avoid being theoretical and instead cite examples or, even better, put your ideas to the test. The more you listen to others around you and can demonstrate that you actually heard their ideas and arguments, the better. Ideally, you want to incorporate some of their good ideas into your idea while giving them credit. The more people find their own ideas acknowledged, the more readily they are willing to trust you and follow the grand plan you are laying out. So, listen for their good ideas and see how they can make your idea even better. Mutual trust and respect are the petri dish of good ideas and they allow you to influence others. Take action now by practicing one of the steps today and another step tomorrow. Over time and with consistency you will be able to more effortlessly and effectively influence others. Avoid the power trip and instead embark on a journey to greater prominence.